If you have set up Parent- Child relationships for your customers, you will need a Master Billing Run to roll all the Child invoices to the Parent invoice, which will then be emailed out to the customer. 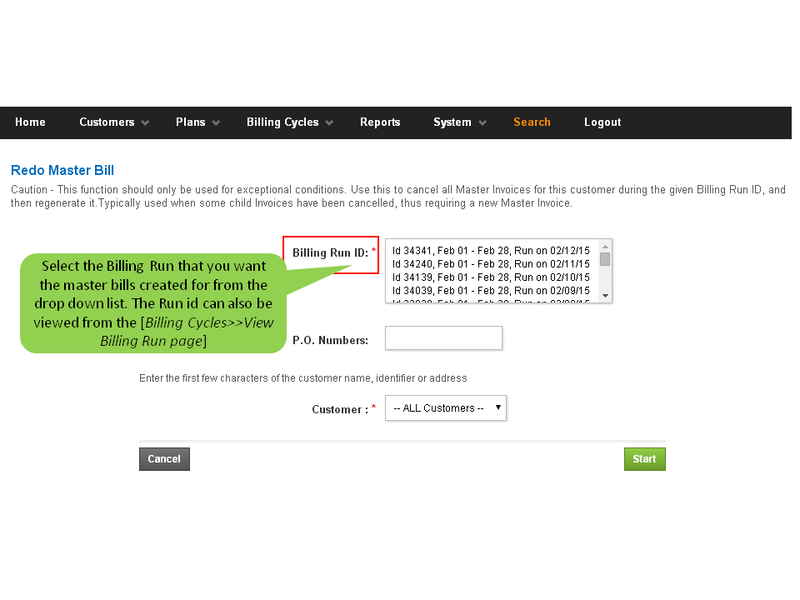 From the Redo Master Bill screen, click on the Billing Run that you would like to have master bills created for. If you want the billing to be run for only 1 or a few customers, click on the Customer drop down list and highlight only those customers that you want the Master bill to be run for. Then click Start.